The team at Bedale based Masons Yorkshire Gin are celebrating after scooping 5 awards at the world’s largest spirit competition. The San Francisco World Spirits Competition received over 3000 entries this year alone and is considered one of the most prestigious awards for the drinks industry. 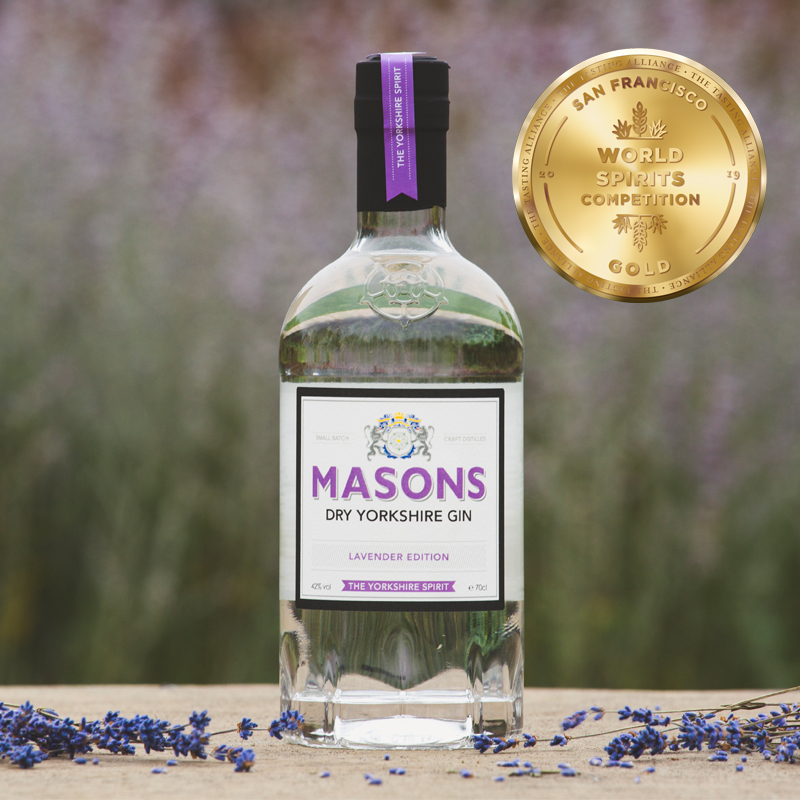 Having previously won Gold for their Original and Peppered Pear editions, Masons are no stranger to winning the sought-after accolades, however their recent haul of 5 medals has made this year’s extra special. Co-Founder Cathy Mason said: “We’re thrilled our Lavender Edition won Gold this year, it’s a firm favourite among our customers and a really unique gin and it’s great to see that a true London Dry Gin style still has the ability to be perceived as the best in a crowded marketplace”. Masons Original Gin took home Silver at the awards and their Tea, Peppered Pear and G12 Botanically Rich Dry Gin were all awarded Bronze. Cathy continued: “This year’s results have been fantastic and we’re really proud of the team. We’ve lots of exciting things coming up for 2019 so these awards have been a great start to a very busy year ahead.